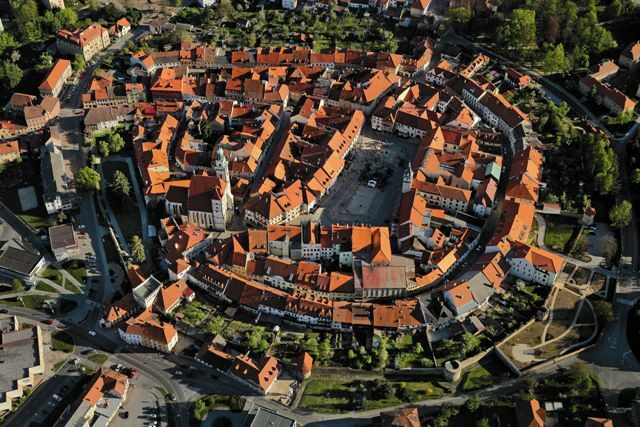 Prachatice is a city located in western South Bohemia at an altitude of 565 meters ASL. It lies in a basin flowed through by Živný Potok (Lively Creek). Close by, the gentle majestic peak of Libín (1,096 m ASL) beacons the way for travellers on their way out and back in to historical Prachatice. The city is laid out over 3,901 hectares with nearly 12,000 residents. 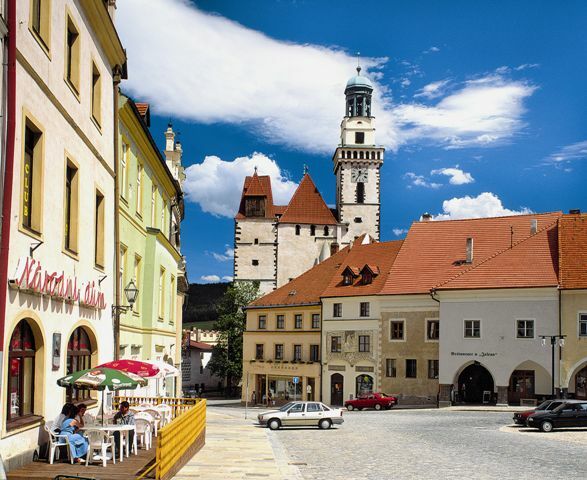 The modern form and appearance of Prachatice is a result of its busy and stirring history, particularly during its period of greatest growth, the bloom of the 16th century. 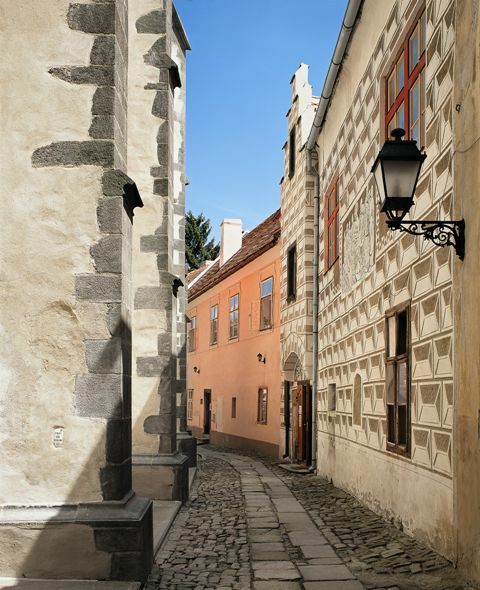 The salt trade brought abundant riches to Prachatice, worked into and reflected in its grandiose local architecture. The forbiddance on the import of salt from Bavaria in the 17th century brought its subsequent decline which affected the entire province. This was marked by a stagnant building period that lasted until the middle of the 20th century. 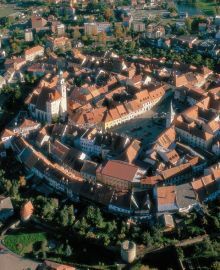 Fortunately, this has now resulted in the historical Old Town of Prachatice inside the double ring of the town fortification walls having been still preserved today, retaining its Renaissance appearance. The city was declared a Municipal Historical Reserve in 1981, and the continual care of its monuments resulted in it being awarded Historical city of the Year 2002. 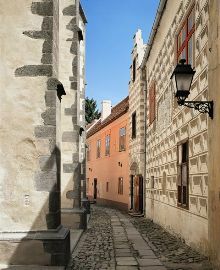 The entire Prachatice area is full of natural, historical, and artistic beauty that has inspired many artists. This is the land of Jan Hus; Jan Žižka passed through here, and several renowned personages have been born here or lived here for a time. This is a land of age-old traditions – the land of the Golden Path. This name comes from the value that was placed on salt, having been traded on this route over the centuries. Salt was transported along this route as far back as ancient times, from the Salt Chambers via Passau to Prachatice. So it happened that, for Prachatice, “white gold” turned into real gold up until the beginning of the 17th century. The townspeople celebrate the fundamental importance of the long-gone trade routes every year with the Golden Salt Path Celebrations. These always take place at the end of June and are joined by a rich cultural program. The festival features markets, period craft demonstrations, and historical costume shows. 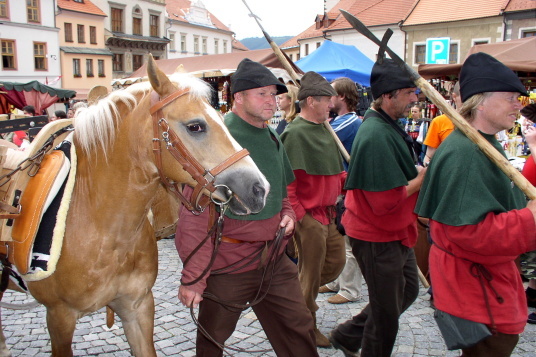 The origin of the name Prachatice allegedly comes from the surname Prachata, used as “the settlement of the people of Prachata”. 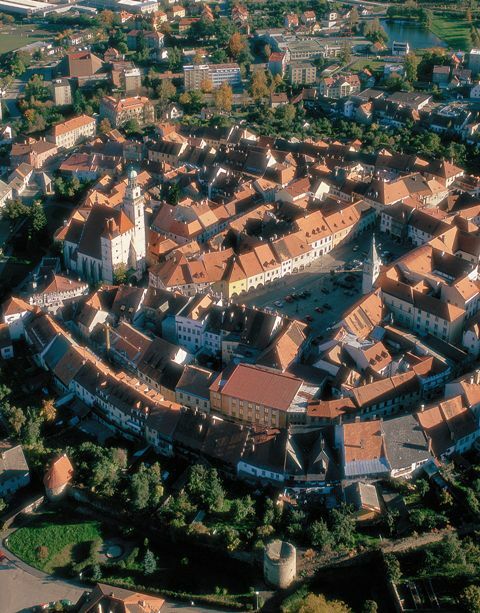 Prachatice was always a crossroads of international paths and a “bridge” between nations. This tradition continues today, as the city has eight partner municipalities in six European states (Grainet and Waldkirchen in Germany, Mauthausen in Austria, Impruneta and Terra del Sole in Italy, Ignalia in Lithuania, Rogačevo in Belarus, Zvolen in Slovenia). The Prachatice area is also interesting. Its position at the base of the Šumava mountain country makes it an ideal starting point for all sorts of hiking and wandering trips, especially inside Šumava, to Lake Lipno, and to other attractive places around the region. It‘s not too far from here to Český Krumlov (UNESCO), České Budějovice, Holašovice (UNESCO), or even to Passau and other towns in neighbouring Bavaria.